the optimally functioning and radiant body you deserve! I am currently not offering colon hydrotherapy services on Oahu. Don't miss our seasonal newsletter: Subscribe Here! Is it your birth month? Celebrate with these AlderBrooke Saving Specials! Colon Hydrotherapy may be used as an alternate method to prepare for colonoscopy. Aloha, my name is Tara Alder. I have been practicing as an Internal Cleansing Specialist and Health Educator since 2000 in Eugene, Oregon and in Hawaii since 2009. My focus has been on the healing art of colon hydrotherapy, holistic health and nutrition. My passion is to provide education and support so people are empowered to take control of their lives and to create greater health naturally. I raised two young men and enjoyed mothering them as well as helping with their sports activities. I now enjoy music, art, dancing, nature, gardening, and inspirational adventure like travel, mountain biking, hiking, and swimming in the ocean. 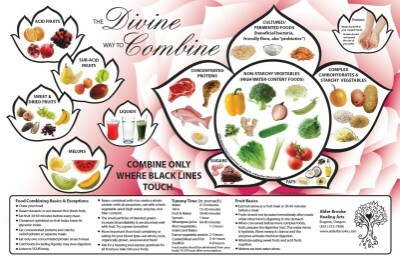 I believe our life styles can support healthy digestion and elimination. I consider what we put in our bodies to be just as important as efficient elimination. Colon hydrotherapy is a gentle internal bath that may help tone, hydrate and cleanse the colon of waste. Colon hydrotherapy is more thorough than an enema, and reaches to the farthest end of the colon. This is accomplished by instilling the colon with filtered, temperature controlled, pressure controlled water several times during a session. Pure water gently trickles into the bowel which loosens and softens the contents then helps to easily rinse the bowel free of those contents. Pure water goes into the body and washes away anything that we no longer need. The colon contains the largest concentration of bacteria in the body. Most of this bacteria is beneficial and is necessary to make vitamins B & K. However, waste remaining in the colon longer than it should results in fermentation and putrefaction which may produce harmful bacteria and other toxins that negatively impact the body. The most common indicators of an unhealthy colon are constipation, diarrhea, bloating, foul smelling stools, gas, bad breath and skin issues like pimples. Cleansing the colon of waste through colon hydrotherapy has the added benefit of hydrating the colon, unlike laxatives which may be irritating, and have a dehydrating and habit forming effect. Colon hydrotherapy may also provide therapeutic improvement in muscular tone by simulating an exercise medium in which the colon's muscular walls expand and contract. A healthy clean colon is essential to a healthy body. 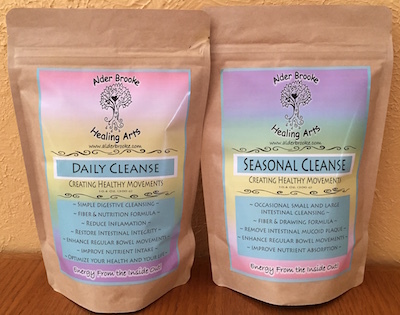 Our staff at Alder Brooke Healing Arts provide you with a gentle health-promoting cleanse in a pleasant atmosphere accompanied by our undivided attention! I very much look forward to working with you! In the mean time, please enjoy the free educational information provided on my web site. Feel Better ♥ Look Better ♥ Thrive! "Tara is a master at what she does. She is extremely knowledgeable, professional, caring and passionate about health. She also goes the extra mile with TLC, between using essential oils, reflexology and abdominal stimulation during the colonic, and a foot bath with a chair massage at the end. I always leave my appointments feeling nurtured, healthier and rejuvenated!" TARA WINS 2011 EDEV BUSINESS OF THE YEAR AWARD! honored and priviledged to serve our blessed community. Eat light food such as fruits, vegetables, and whole grains. 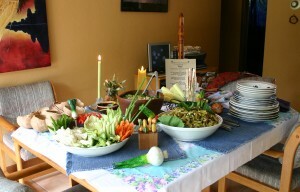 Minimize your food consumption 2 hours prior, and plan to have a healthy meal following your colon hydrotherapy session. Thank you for choosing our collective of healing artists as a source of education and support. If you have any questions please call. We look forward to hearing from you. *Note: Session charge will increase if additional consultation time is required. Click here for payment policy information. I can help you get a doctor's referral for your colon hydrotherapy session at no additional charge to you. Please contact me (541-513-7894) if you need assistance. with you when you come for your appointment. All colon hydrotherapy sessions require a doctor's referral. All appointments are scheduled giving fifteen minutes grace time. Please respect our scheduled appointment time. 48 hours or more is sufficient notice to reschedule or cancel. Please consider full payment acceptable compensation if appointments are missed without 24 hours notice. I honor and respect you and your time and appreciate your reciprocation. Thank you for self enforcing this request. I am grateful for your consideration. I look forward to working with you! Professionally administered colon hydrotherapy is generally safe if you are free of certain medical conditions. If you have a concern about your health or the appropriateness of colon hydrotherapy you should consult a doctor. If currently diagnosed with any of the following you are not a candidate for colon hydrotherapy: lupus, diverticulitis, ulcerative colitis, Crohn's disease, severe hemorrhoids, rectal or intestinal tumors, uncontrolled hypertention, congestive heart failure, organic valve disease, severe anemia, GI hemorrhage/perforation, cirrhosis of the liver, fissures or fistulas, abdominal hernia, or renal insufficiency. Also, if you have undergone recent radiation therapy, suffered from an aneurysm, or have had recent colon surgery you are not a candidate for colon hydrotherapy. Be advised that pregnant women should only receive colon therapy during the second tri-mester of their pregnancy and under the direct supervision and advice of their physician.